The 58th annual Grammy Awards were in full force last night as the best and the brightest came out to shine. There were killer beauty looks that dominated the red carpet. From tangerine lips to smokey eyes, the stars brought their A-Game. 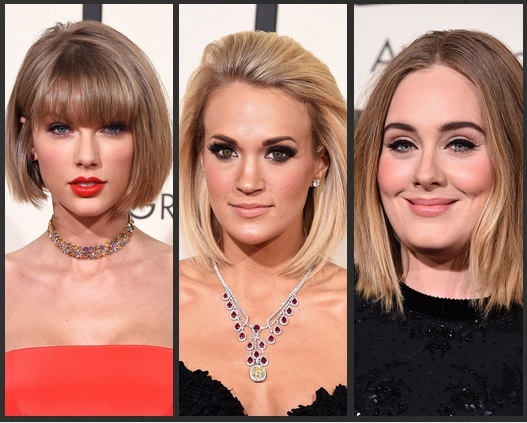 Here are the best beauty looks at the 2016 Grammy Awards. Taylor Swift was sporting a new hair do — whether it was a bob or she was simply pulling a Gigi only time will tell. Instead of her signature red lips, the Grammy winner chose to go for a tangerine lip. Matched with rosy red blush, the singer was a showstopper.